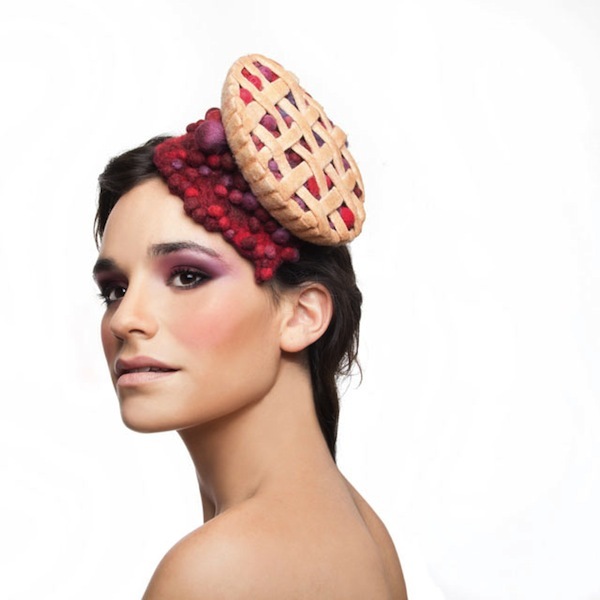 Tel Aviv-based Israeli artist, costume designer and stylist Maor Zabar creates flamboyant fascinators, hats and headpieces that are designed to stand out in a crowd. 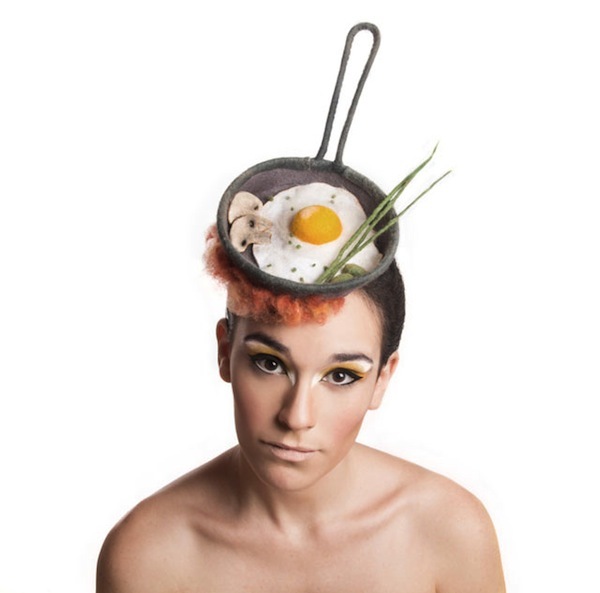 Bringing together fashion and food, he has also made a small collection of quirky felt fascinators that look like delicious edibles—our favorite is one that looks just like a frying pan with a perfect sunny side up egg in it. 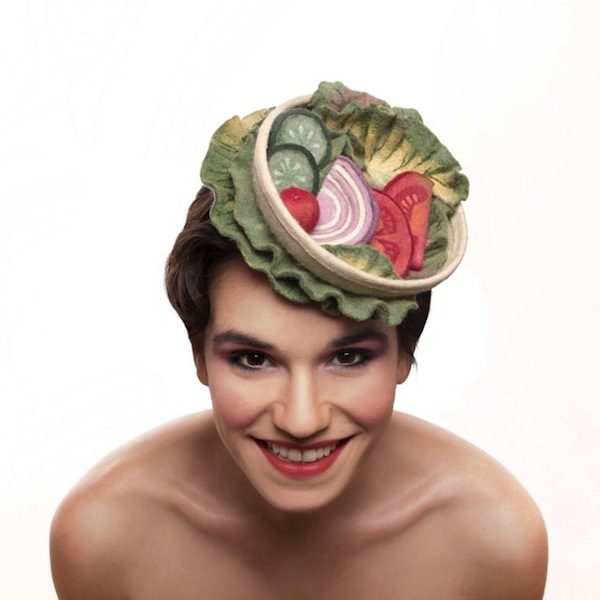 While these whimsical accessories are definitely not for the faint-hearted dresser, they would definitely make a bold statement for a special food-related occasion. 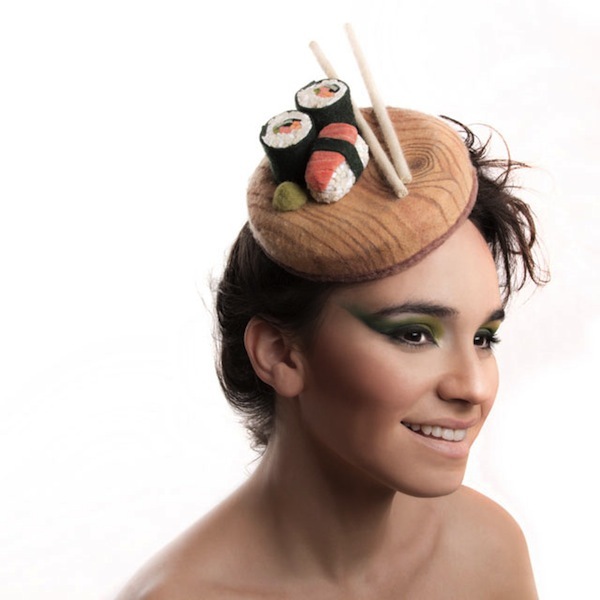 You can check out and purchase Zabar’s imaginative creations here.